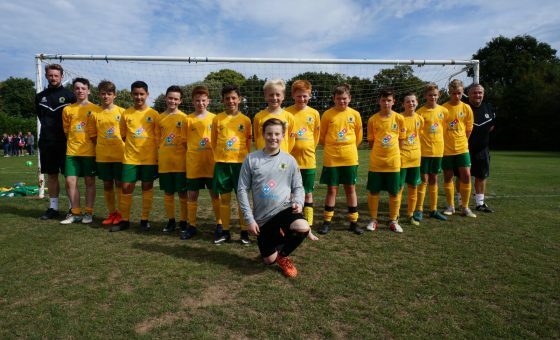 Horsham FC Youth U13s had the opportunity to get back to winning ways and defend their League Cup title in this Semi-Final fixture at Worthing United Colts. And the young Hornets could not have gotten off to a better start; having won a corner in the first minute the ball was cleared but a clever pass out wide allowed the resulting cross to be headed home by Luke Harrison. From that moment the yellows seemed in control of the match, playing some patient, passing football but were unable to put the finishing touches to this clever play. As the half drew on, the possibility of an upset seemed likely as Worthing pressed and earned a few breakaways but some very quick defending by Danny White and Cameron Cox saw these attacks snuffed out. As the half drew to a close the Colts won a corner but Monty, the Horsham shot stopper, was majestic in goal as he pushed away the first cross and then collected a high ball from the follow up cross. The second half saw Horsham dominate downhill and with the wind in their favour, but chance after chance was not put to bed. It was not until late in the second half that a very good corner from Zach Jeanes saw a great flick on by Danny White for Finley Duneclift to head home from close range at the far post. This relaxed the team towards the end of the match and saw Zach Jeanes smash a great shot off the Worthing crossbar for a spectacular effort. The game ran to its end with Horsham winning 0-2 away from home to earn a final spot against Rustington Otters. Manager Paul Brown was very pleased for the team in earning another final outing but was cautious of how they need to be moving forward. “The boys should be very proud of themselves for reaching another final, with the opportunity to defend their crown. These days do not come around often and to put behind them the disappointment of the County Cup exit this is a massive achievement. 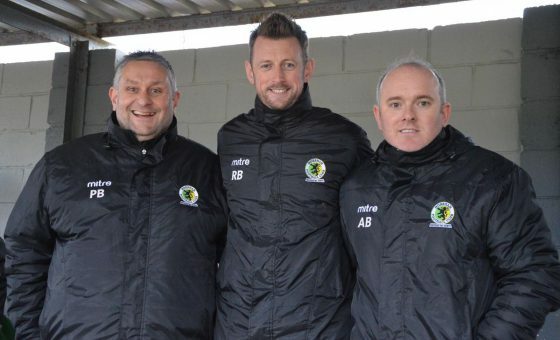 We will warn the lads not to get over excited as we have a league campaign to complete which may well give them opportunity to achieve a double! However they need to be aware of what we as coaches set out for them. Our chats and meetings will be about keeping focus, playing to the style we discuss, allowing them chances to be taken better. Our team play has to be better. We are a squad of players who are performing so well, we don’t want their individual aims to become their focus, we need them setting their sights on our team play to push us on in our focus of something special! Horsham: Monty Watson-Price, Cameron Cox, Theo Brown, Danny White, Jack New, Frankie Mills, Finley Duneclift, Luke Harrison (cpt), Stan Berry, Joe Sherwood, Zachary Jeanes.